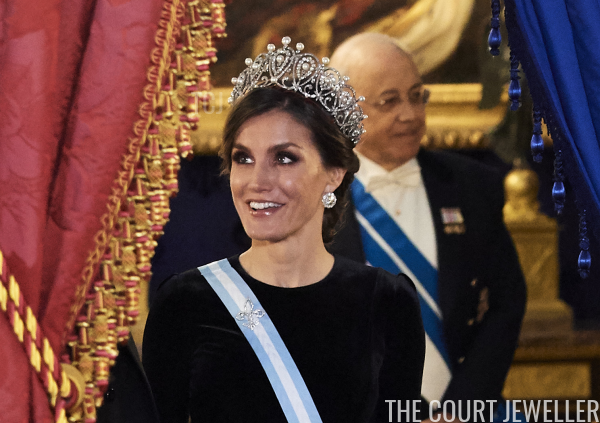 Wednesday brought us yet another tiara debut in a year already jam-packed full of impressive tiara debuts: Queen Letizia of Spain wore the Cartier Diamond Loop Tiara! 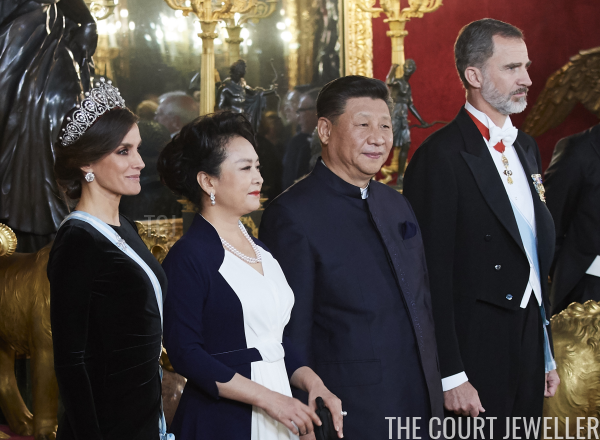 The occasion for the jewelry extravaganza was a state banquet for President Xi Jinping of China and his wife, Peng Liyuan, at the Royal Palace in Madrid. 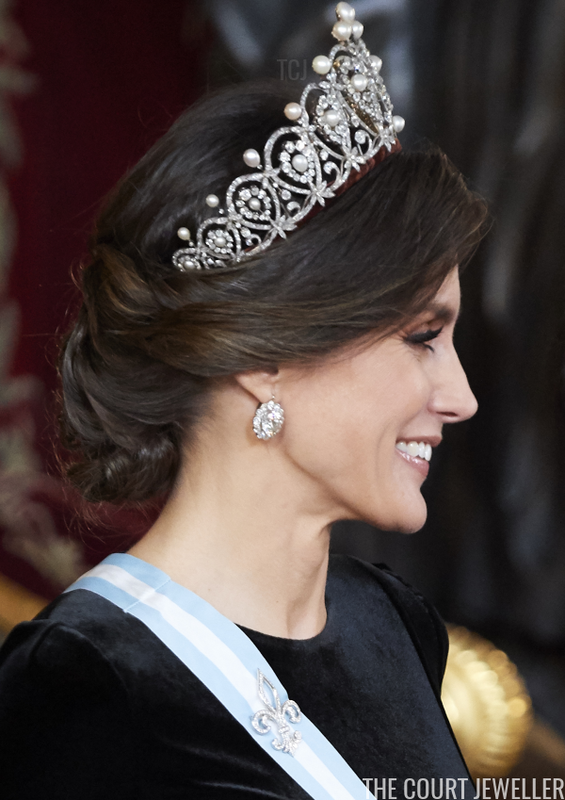 With the fantastic jewels, Letizia reached for the same black gown she wore when she debuted the grandest of all Spanish royal tiaras, La Buena, in 2017. 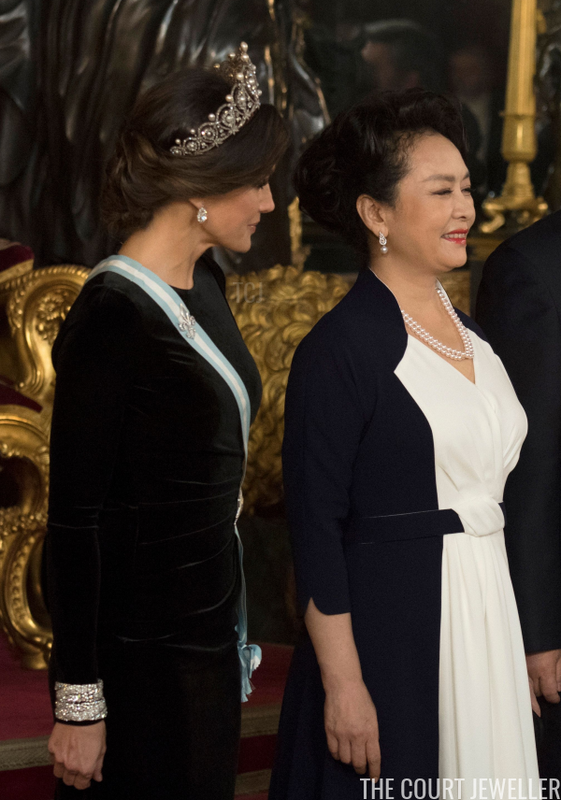 It's a smart choice -- let the diamonds and pearls do the talking! 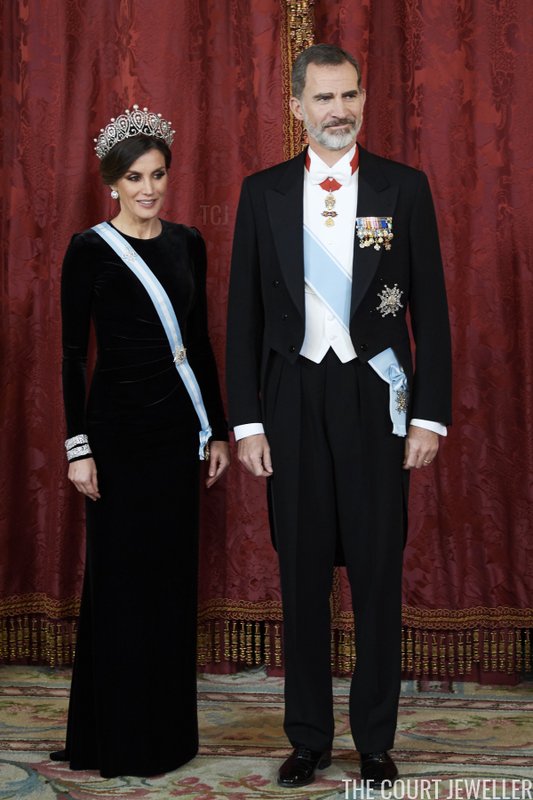 Remember when we all thought that tiny Letizia was too petite to wear the large tiaras from the Spanish royal vaults? What fools we were!